It's been already a year since we filed our marriage paper!!! 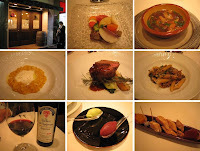 On 11/22, we reserved an Italian restaurant called "Passo a Passo" in Monzennakacho, which was the prize for Jambalaya Original Recipe Contest 2010. 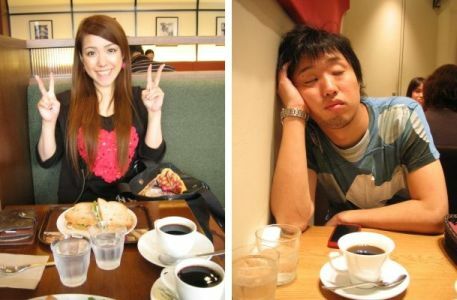 The dinner for 2 was worth 100 bucks per person! 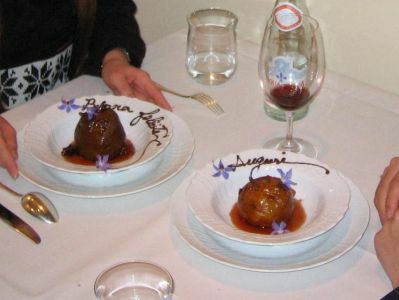 The special course of the day was gibier. Gibier means wildlife animal. Believe it or not, we had cave bear dishes!!! The cave bears grew up on oranges, so they don't have strong taste! All dishes were amazingly delicious!!! Thanks to the chef and his wife (she served our table)! We had a heartwarming anniversary. 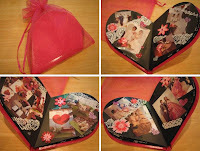 Then last but not least, my darling gave me a sweet gift with an adorable message card. He wrote, "Please use this hand creams and let's walk hand in hand forever"! Our wedding posts are labled HERE! 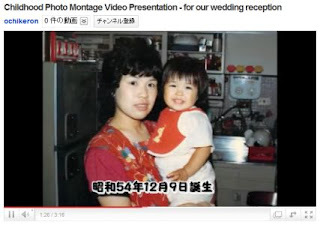 When you are invited to a Japanese wedding reception, you are expected to bring gifts of money to the couple. The amount is generally approximated in advance by the level of one's income and social station. There are many online Q&As regarding the amount, but the innocuous amount is 30,000 yen (about $300). Be sure to use the special envelope for congratulatory gifts of money with the gold and silver (or red and white) strings. There are many cute envelopes at stores these days! 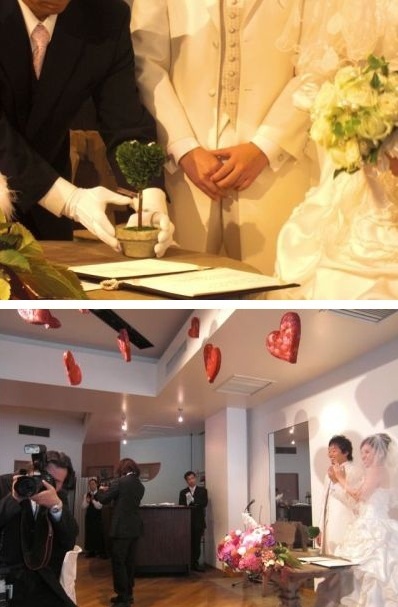 At a Japanese wedding, guests will receive physical gifts (including food and drink) of about the same value as the monetary gifts they brought. Also, for the guests who come a long distance, almost half the amount of transportation expenses are paid and accommodations are arranged. Thus, you don't have to deduct the expenses from the gifts of money you bring. Long ago, it was said that the gifts of money helps the couple to start their new life together, but nowadays it just helps to pay for the incredibly expensive reception. Knowing the facts behind, if you cannot afford it, excusing yourself from attending the reception is not at all discourtesy. Anyway, how about in your country?! I am really curious to know how the wedding works out!!! 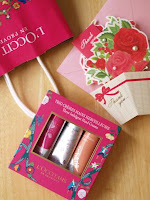 Wedding favors are the gifts given as a gesture of appreciation or gratitude to guests from the bride and groom after the wedding reception. In Japan, we usually combine a food gift and a product gift. The most popular food gift is Baumkuchen, since it represents longevity and the long-lasting prosperity of the family. 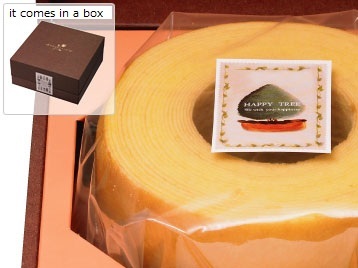 Of course, you can present a pound cake or whatever you like, but we chose Baumkuchen without question! Same as our wedding cake, our Baumkuchen is from the pastry shop anniversary! 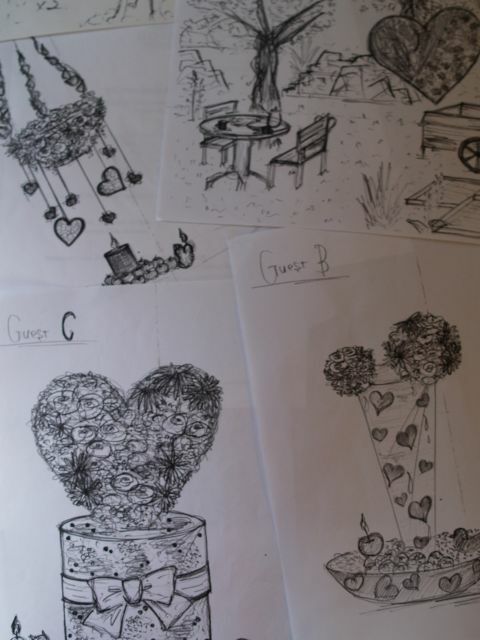 Last but not least, we also prepared a petit gift. It's a butterfly with 5 Jordan almonds. Five Jordan almonds symbolize five wishes for the bride and groom: health, happiness, fertility, financial stability, and longevity ;) I hung them on my arm and gave one by one to the guests when we saw them off! Why not heart?! 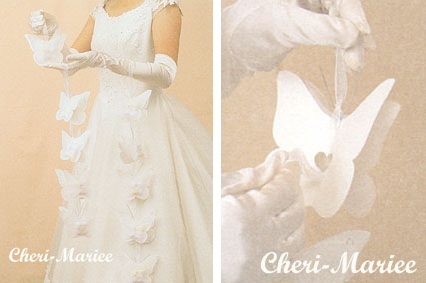 Because we wanted to close with a butterfly since our invitation card was a butterfly, too! Can you believe it?! It's been already a month since our wedding!!! Time really flies!!! Should we celebrate it tonight?! Maybe too much! Ha-ha!!! Anyway, as you can see, my gel nails are all cracked!!! I was going to remove them yesterday but I put off the day till Friday because I love them ;P For my cooking, I can't do them again, but I really think gel nails are cool!!! Our wedding theme was "Heart Full NY Central Park". 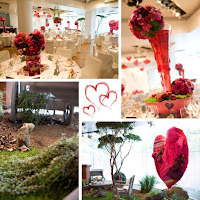 GOTO FLORIST decorated our wedding hall (LA COLLEZIONE) to meet our expectations. What was amazing was president Goto's creativity! In the vase, he put some strawberry jam to make it look red and sweet! Moreover, he said he's gonna use red sand, stones, gel window stickers and many other fun stuff on the day! The flower as you can see is no longer flower, but a creative object. He says he wants everyone to see, touch, and play with it. Isn't that amazing?! ... and that was true! The huge pink heart was in nice contrast with the green park! Many many thanks to GOTO FLORIST!!! During the wedding reception, we planned a surprise for our siblings! My sisters wore elegant furisode (振袖) which is a traditional long-sleeved kimono for unmarried women. 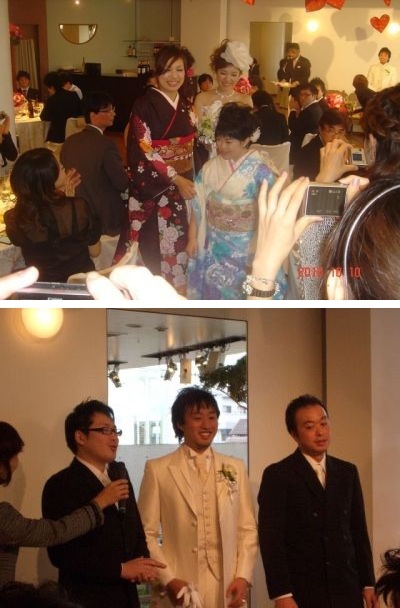 My darling's brothers wore suits because many men usually wear suits at the ceremony. Do we look alike?! he-he!!! Wedding ring pillow is a pillow that has ribbons to tie the rings. Some people make their own, but frankly, ring pillow can be anything! We first thought of using an apple, putting rings through its stem. But surprisingly, most apples at supermarkets have short stems, so we gave up. Then later, by a lucky chance, my darling found this cute little heart-shaped leafy plant at a general store! 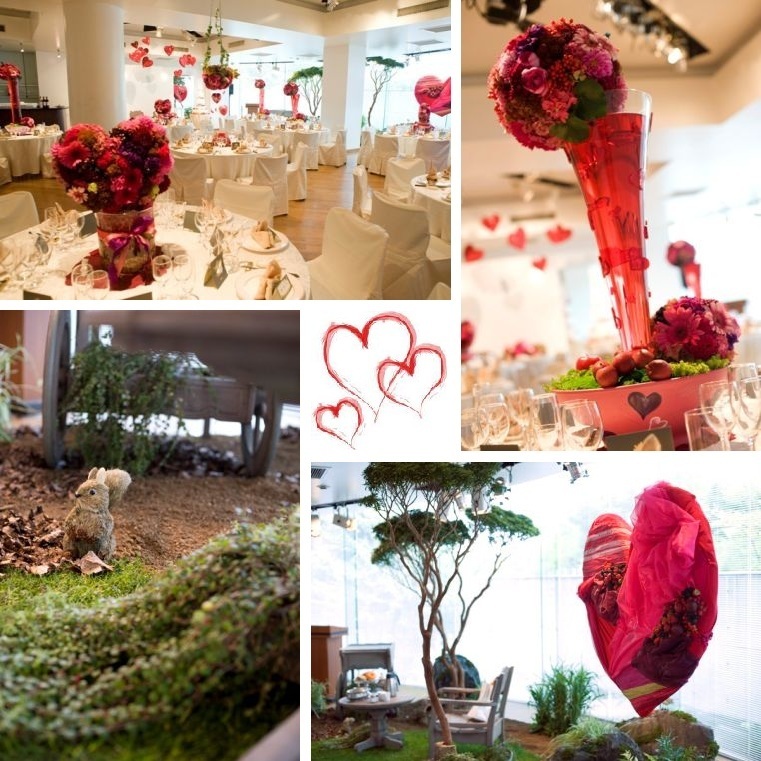 It nicely matched our wedding theme: full of hearts! We are happy to have our wedding in front of all who made time to be here today. Here, we will make 7 vows. 1. We will take care of our family. 2. We will never forget to care for others. 3. We will build a family filled with love, laughter, and happiness. 4. If we have a quarrel, we won't be stubborn, but listen to each other. 5. We will make a relaxing home, without stocking up on things. 6. We will be never too busy to spend time together on weekends. 7. We will do moderate exercise and have well-balanced happy meal, to live long together forever. and together, we hereby pledge that we will bravely lead our lives hand in hand. 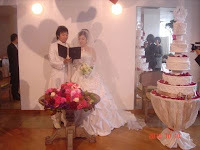 We then signed the certificate of marriage in front of our guests. 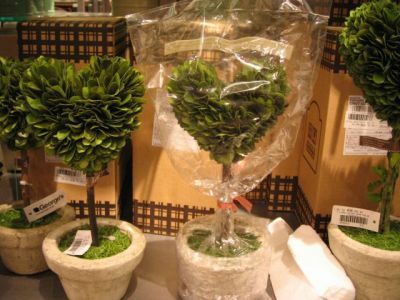 This is another wedding idea. BTW, white square cake (top right one) is our wedding cake. Mango pudding in the spade-shaped dish and Almond Pudding (杏仁豆腐) in the heart-shaped dish are desserts for our wedding reception foods. I'm glad everyone enjoyed them!!! What is your ideal cake-cutting ceremony? 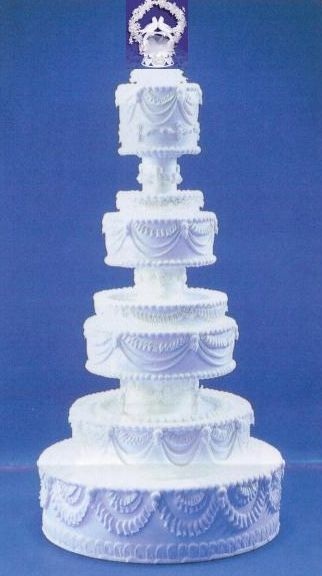 However, it costs way too much to order a huge real wedding cake, so we decided to rent a fake one!!! 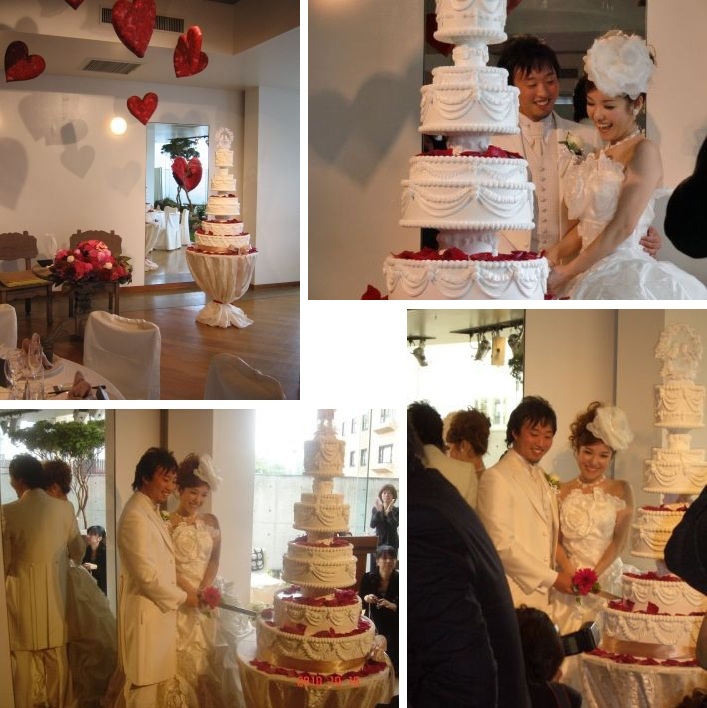 Long ago in Japan, renting a fake wedding cake was nothing special, but nowadays, people are more for edible ones. Thus, you can hardly find a shop to rent a wedding cake. It took me about a week to find one!!! As an option, we bought a two birds ornament on top of the cake, which matched our wedding theme perfectly! I think this was the heaviest task we had in our wedding preparations! It was hell in many ways, but I'm glad everyone liked it! 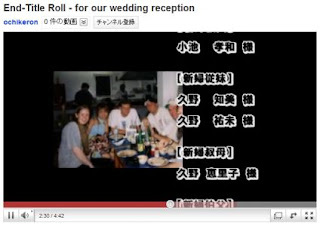 We also played an end-title roll video in the end of the reception to thank everyone who attended and contributed to our wedding. Combined with our favorite music, from childhood photos to dating and engagement photos, this video is a special reflection on our past to tell the story of us, who eventually meet and fall in love. Credits combined with our favorite music and photos. We listed names of our guests and people who contributed to our wedding.